You’re here because either you or someone you love is an audiophile. Now as you shop for headphones with high-fidelity sound reproduction, you’ve found these two pairs made by Grado. How can you tell which ones are better? Let’s review them both to see. 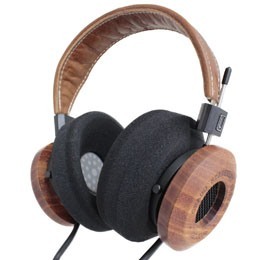 Grado manufactures their high-end headphones in Brooklyn, New York. The GS1000e are the only pair in their Statement Series, designed to stand out in appearance as well as quality. Just take a look at these specifications below. To begin, the beautiful wooden ear cups you see are hand-crafted from mahogany. 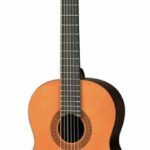 This particular wood is a favorite choice for musical instruments because it transmits a rich, warm sound. It’s lightweight, too. Second, the 50mm dynamic transducers, also known as drivers, are matched with twelve conductor cables. What does that mean for you? Users report that listening to music with the GS1000e headphones is like enjoying a live performance. Not only are sounds accurately reproduced, but they also have a sense of space and presence to them. 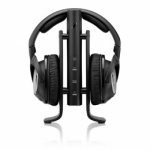 If you examine the specifications, you’ll see that the frequency response is broader than typical headphones offer, ranging from 8 to 35,000Hz. The sound pressure level at 1mW is 99.8 dB, meaning you can enjoy audio at higher volume, too. Also, the large ear cups are circumaural, designed to fit around your entire ear. They have comfortable foam padding that makes them pleasant to wear for extended periods. But the open-air design means those around you will hear sound leaking from the headphones. You won’t be isolated from ambient noises, either. Can you enjoy these headphones with a portable device? Users report that you can use a smartphone or mp3 player since the impedance is only 32 ohms, but it’s not the recommended experience. Instead, they suggest a DAC and amplifier. Of course, you’ll want the highest quality recordings as well, like CDs or FLAC versus compressed media files. 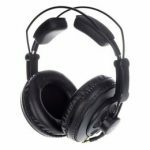 How do the Grado PS1000e headphones measure up to the GS1000e? They have a lot in common. 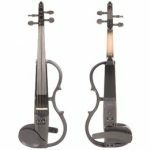 For one, the PS1000e also have mahogany tone-wood parts, but you can’t see them because they are covered with chrome-plated aluminum for durability. This combination of materials transmits rich sound while it reduces distortion from ringing. Like the other pair above, the PS1000e have 50mm drivers and twelve conductor cables. These cables are made of ultra-high purity long crystal copper wire for superior conduction. There is also an improved voice coil and diaphragm for better response. All this attention to detail puts the PS1000e firmly into the Grado professional series. Do keep in mind that these are open-air headphones that will leak sound for others to hear around you. And you’ll also be able to listen to ambient noise. These are also not a pair for listeners who love heavy bass. Instead, you’ll enjoy bright, accurate tones. Like one reviewer commented, the purity of the sound you’ll hear with these headphones is surprisingly beautiful. When listening to high-fidelity audio, you’ll be able to sense the position of the instrument and enjoy the music as if it were live. Pair the PS1000e with an amplifier, and you may never want to stop wearing them. Therefore, it’s important to note that the headphones are very comfortable, if a bit heavy, to wear. They have a circumaural design with top-notch padding. There’s only one complaint expressed by some owners about the audio cables. They are not detachable because they are soldered into place. Should there be a problem with a short-circuit or other damage, you’ll need to seek an authorized repair service. 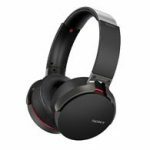 If you’re a professional shopping for open-air headphones, the PS1000e come highly recommended. And if you’re an audiophile who wants a beautiful listening experience, you might love the GS1000e. Just be sure to pair either headphone with an amplifier for best results. 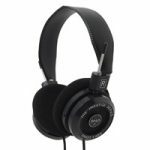 Click here to Check out Grado GS1000e Price on Amazon.com! 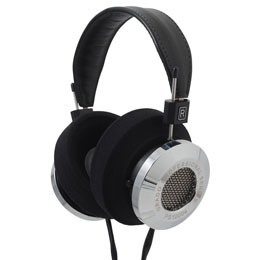 Click here to Check out Grado PS1000e Price on Amazon.com!